Task Remarks Field in Project Plan Template - ANALYSISTABS - Innovating Awesome Tools for Data Analysis! Remarks Filed of a task helps to capture the additional information. It is used to communicate the important information between Project and Client Teams. Remarks Filed is an optional field and it is a string Data Type Field. Textbox control is used to write Task Remarks. 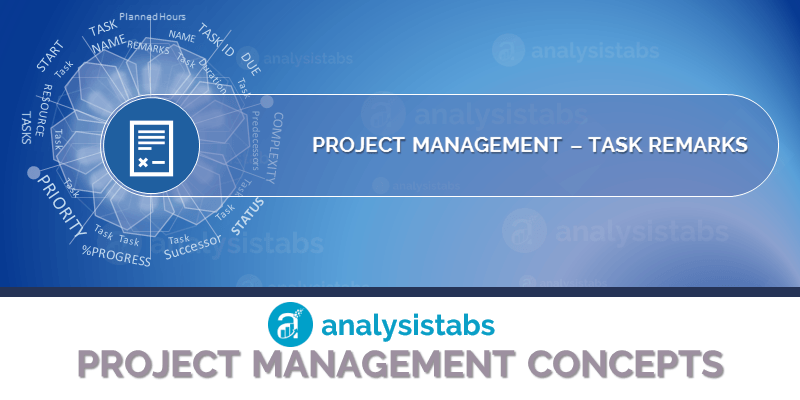 Below are the more important use cases of Task Remarks in Project Plan Templates.